Berry fruits have shown a remarkably diverse range of bioactivities relevant to human health protection. The health-promoting potential of berries include antioxidant properties, anticancer, anti-adhesion (prevention of urinary tract infection), anti-inflammatory, and neuroprotection properties. These broad spectrum health-protective properties are attributed to the distinctive and multifaceted mixture of phytochemical components that naturally accumulate in berry fruits. Natural potentiation between interacting components which co-occur within the fruits can intensify the potency and broaden the scope of protection beyond that of any single component. 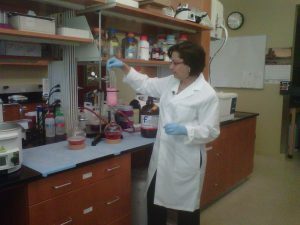 Our lab has concentrated on gauging the antioxidant and anti-inflammatory properties of berry fruits, their roles in ameliorating the ravages of diabetes and metabolic syndrome, and the adaptogenic potential of fruit components; their capacity to increase endurance and stamina in test subjects. In order to characterize the components responsible for health benefits in berry fruits, each group of constituents must be carefully separated to allow clean bioassay and characterization. 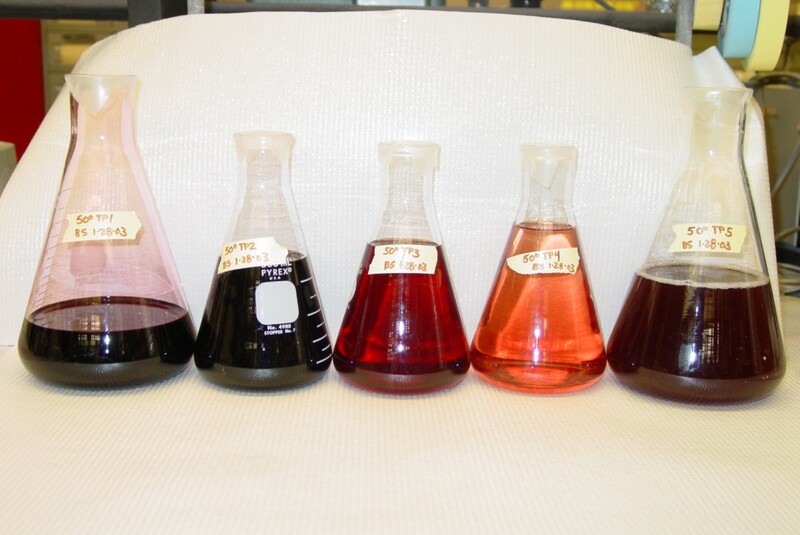 Vacuum chromatography is performed first on a Toyopearl gel matrix, which provides for simple and efficient separation of sugars from other compounds in the extract. Other substrates such as silica gel are commonly used for subsequent rounds of subfractionation. 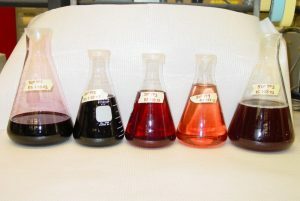 One of the important pursuits in our team is to determine the effect(s) of alternative extraction and fractionation tactics on the integrity and structure of the components from fruits/functional foods, as many natural plant compounds may be ephemeral in nature, and easily degraded during the process of phytochemical separation and analysis. In addition, many plant-produced bioactive compounds are difficult to elucidate due to their large, complex, polymeric structures and potentiating interactions between phytochemicals that co-occur in the plant host. Fractionations are typically monitored using TLC on silica gel plates. This protocol permits the separation of intractable and complex proanthocyanidin oligomers and other complex bioactive compounds with minimal loss of structural integrity, and determination of their bioactivity. We accomplish structural characterization of active constituents using an array of phytochemical detection strategies (HPLC, TLC, Mass Spectroscopy and NMR), and simultaneously, via bioassay-guided fractionation, elucidate the interactions between potentiating phytochemicals that co-occur in a bioactive edible plant. Plants continue to provide novel leads for multifaceted drugs to combat complex human chronic diseases, however, full appreciation for the diversity of compounds available through natural plant sources has not been realized. Development of a streamlined, scaled-up, reproducible plant cell culture model system for uniform production and harvest of bioactive components from plant sources provides a means to decipher the mechanisms of action specific to complex natural phytochemicals, to determine the degree of interaction between components in a food matrix in terms of disease intervention, and to track the metabolic route of bioactive components after ingestion by animal or man. The chemical composition of plants collected from the wild varies significantly and unpredictably, and often these plant collections lead to habitat disruption and political controversy. Uniform, continuous plant cell cultures maintained under controlled conditions do not have these disadvantages.